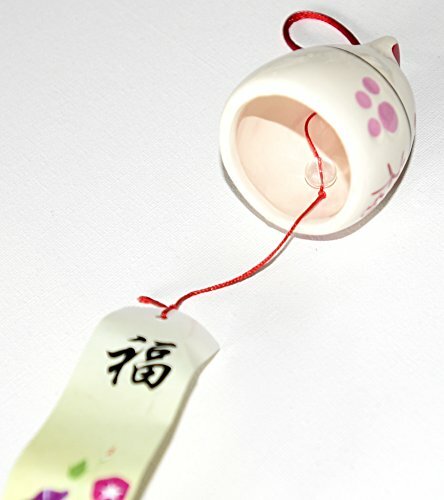 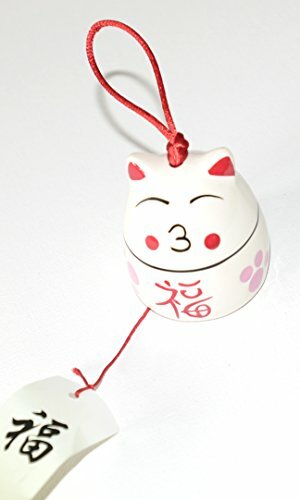 Maneki Neko Feng Shui Lucky Cat Ceramic Wind Chime for Prosperity, Good Fortune and Protection. 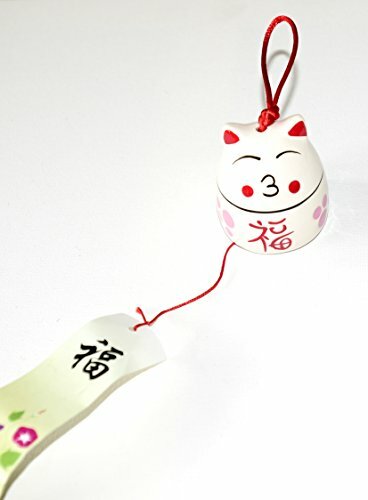 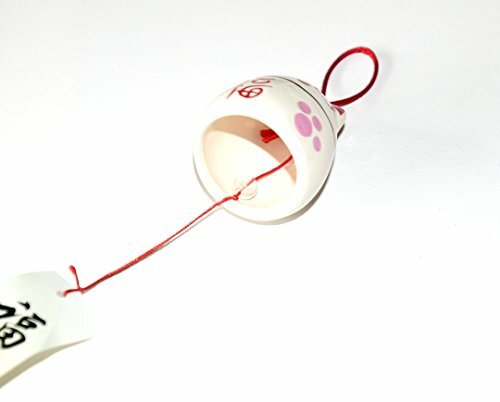 Lucky Cat Ceramic Japanese Wind Chime is a traditional Japanese wind chime in the shape of a very cute white ceramic cat with red and orange detail. 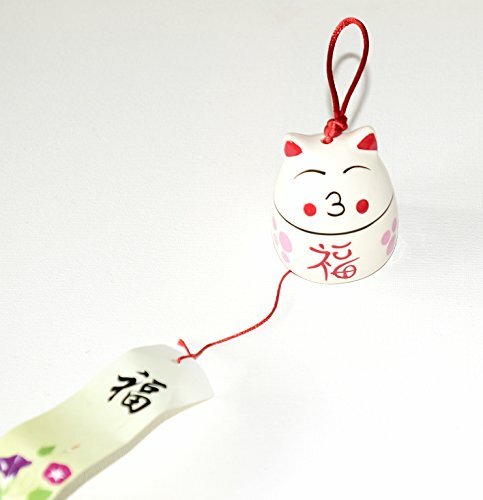 It is said that wind chimes were originally hung at each corner of a temple to frighten away evil spirits.